This weekend, as part of the My 60L Secret Sale, I have a his and hers outfit for you! 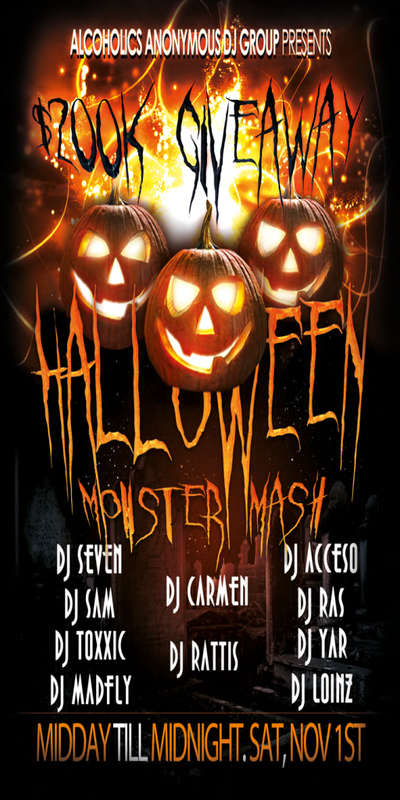 Zombie Killer is available for only $60L now through Tuesday morning! 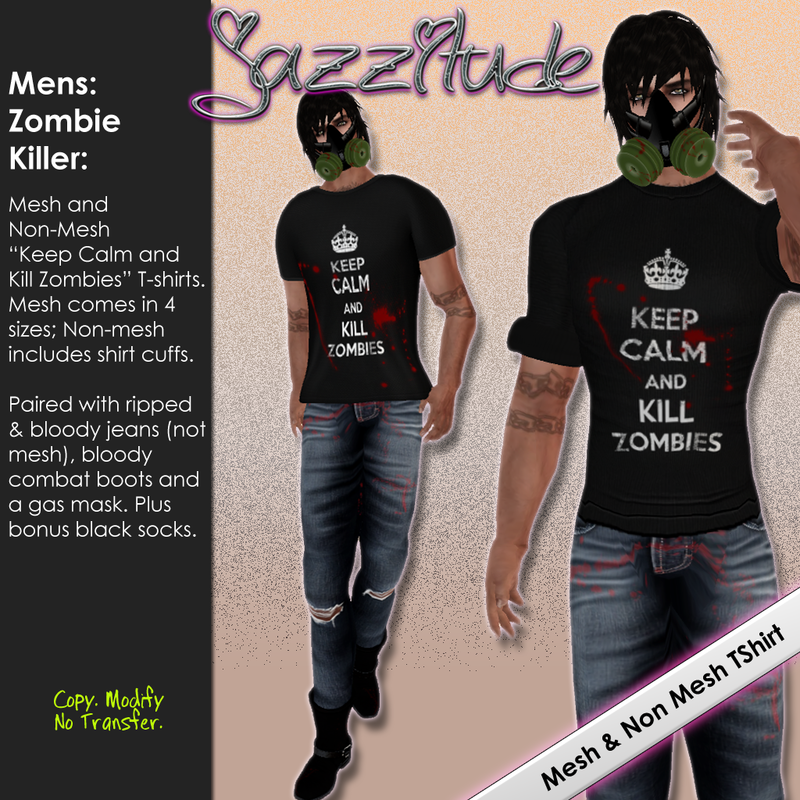 Just in time for Halloween… mesh shirt “Keep Calm and Kill Zombies”, ripped and bloody jeans, bloody boots and a gas mask. Really, this outfit could work for other things besides Halloween though! 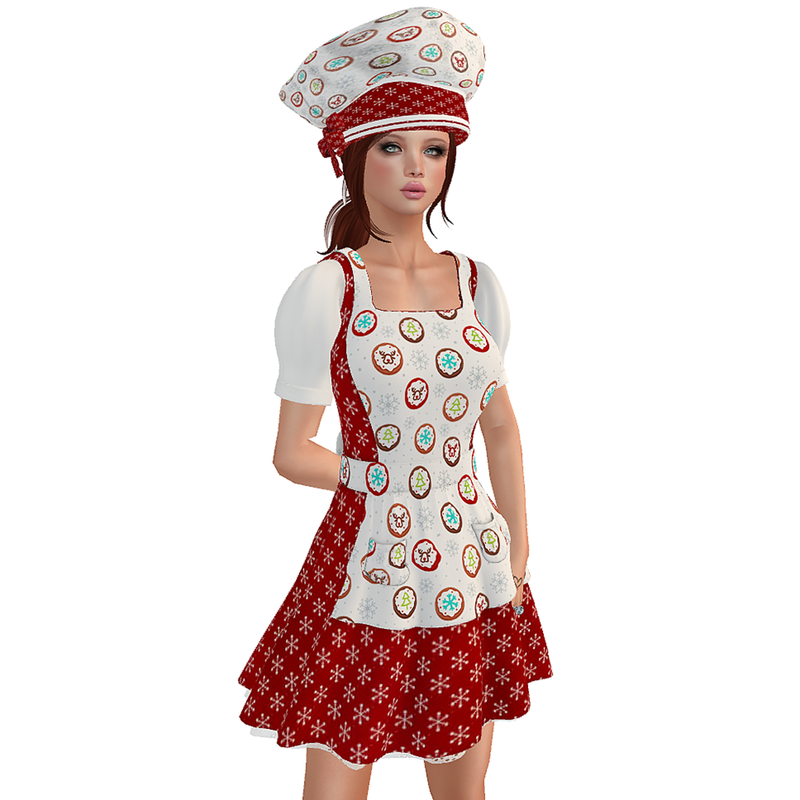 While in the store, don’t forget about the Mad Alice and Wicked Dorothy outfits that are 1/2 off through Sunday.